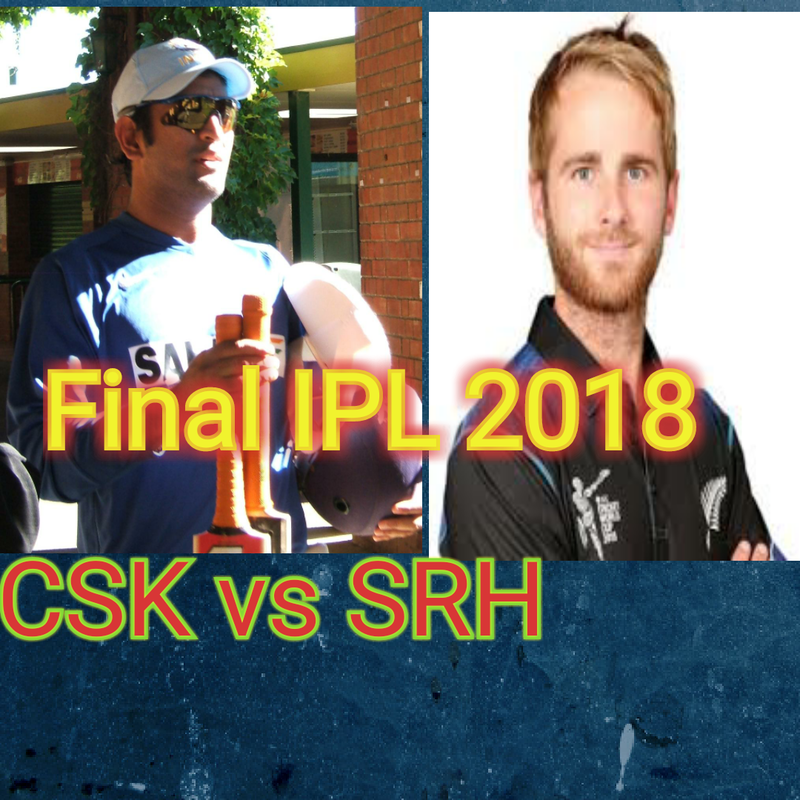 IPL 2018 Final CSK vs SRH will be played in Wankhede Stadium Mumbai on 27th May 2018 at 7:00pm. 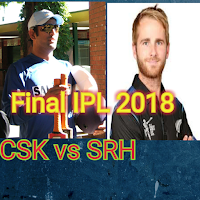 Before the match, a great ceremony for IPL 2018 Final CSK vs SRH will give much entertainment to all IPL lovers in which big Bollywood stars and celebrities will perform. Far du Plessis, Suresh Rains, Shane Watson, MS Dhobi(c&wk), Ambati Raydu, Dwayne Bravo, Ravindra Jadeja, Deepak Chahar, Harbhajan Singh, Shardul Thakur, Lungi Ngidi. Kene Williumson(c), Wridhiman Saha(wk), Sikhar Dhawan, Sakib Al Hasan, Deepak Hooda, Yusuf Pathan, Carlos Brathwaite, Rasid Khan, Bhuwneswar Kumar, Siddharth Kaul, Shreevats Goswami. SRH won the toss and opt to bowl first. CSK scored 182/3 in 20 overs in which Ambati Raydu(79 of 43), Suresh Raina (54 of 43) and Dhoni 25 of 12 have played a great inning. SRH could score only 178 and lost the match by 4 runs. Kene Williamson has had played amazing inning 84 of 51 in this match. CSK won this match by 8 wickets. In this match, Ambati Raydu scored 100 and Watson 57. In this very interesting low scoring match SRH scored 139/7 and CSK got winning target in 19.1 over for the loss of 8 wickets. CSK won this match also. CSK have made a habit to come in IPL final. They are in the 7th final in 9 attempts and have won 2 back-to-back final in 2010 and 2011. SRH with the help of strong bowling attack they have made the playoffs on 3 consecutive occasions. "You know, I'm not looking at areas that we need to tighten up. We just need to concentrate on our brand of cricket and make sure we bring that to the final tomorrow. And as long as we do that, I'm sure we'll be competitive on the day" - Tom Moody, Sunriser Hyderabad's main coach. SRH 41/1 in 6 overs.